Planning a co-ed baby shower can be a little tricky when you try to figure out how to include the men who won’t necessarily want to play games with diapers and take home candle favors. Here are some ideas co-ed baby shower favors that everyone will enjoy. You can never go wrong with food! No matter the gender of the guest, it’s tough to turn down any favor involving food. Tins of salty snacks like trail mix, chocolate covered pretzels, etc. 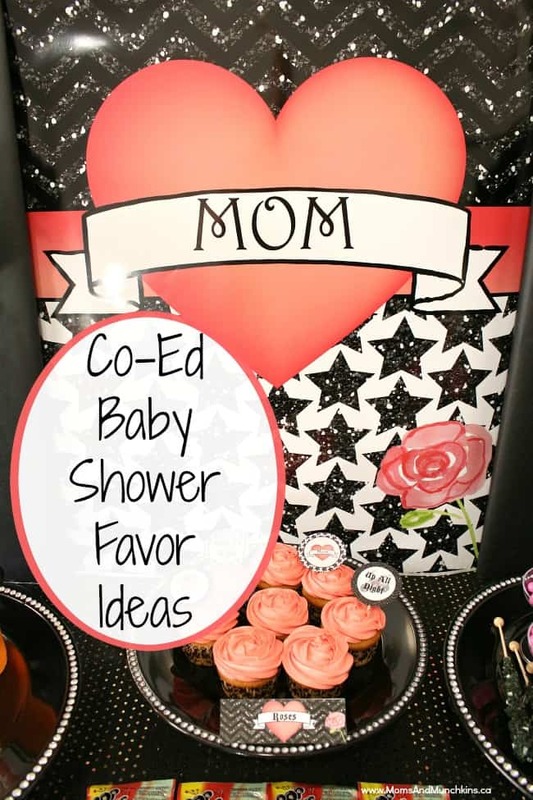 Have you ever received a co-ed baby shower favor? If so, what was it? We love a good party & that’s why we’re always sharing fun ideas for all types of celebrations. Never miss an update by following us on Facebook, Twitter, Pinterest and Instagram.